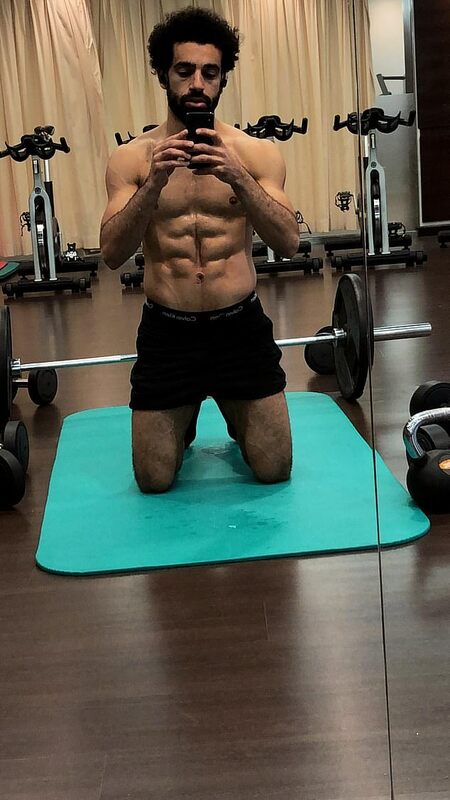 Mo Salah was keen to keep a healthy body and mind during his time away on international duty with Egypt. The Liverpool forward was forced to stay indoors and hit the gym at the team’s hotel due to a downpour on Tuesday. The 26-year-old appeared to happy with the results as he posted a post-workout selfie on Instagram. He showed off his six pack in the snap as he knelt down on a blue yoga mat surrounded by weights. His impressive physique was in the same league as Juventus star Cristiano Ronaldo and Manchester United midfielder Jesse Lingard. Lingard had uploaded a photo of him posing with his tensed abs, alongside Ronaldo doing the same during his goal celebration against United. Salah is currently in Egypt on international duty and has been keeping up with his fitness regime as he prepares for his national team’s clash with Tunisia on Friday. He also posted a picture of him playing chess during a break from training.